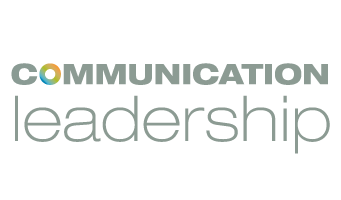 The Communication Leadership graduate program has cultivated an invaluable network of community partners, industry contacts, and thought leaders. We strive to connect students and alumni to these valuable resources while they’re in the program and after they’ve graduated. Our monthly First Friday events are an excellent networking opportunity, where students can learn about different organizations, interact with prospective employers and bond with their cohort in a casual setting. Comm Lead’s contacts within the Seattle business community are far-reaching so past and future hosts have included: Weber Shandwick, Vectorform, Facebook, Tableau, Projectline Services, Friends of Waterfront Seattle, POSSIBLE, Aggrega+e, Smashing Ideas, 206 inc., Geocaching, and REI. Whether the event is held in offices or local restaurants, our hosts do everything from throwing Cinco de Mayo parties to recruiting students for open positions. Naturally, First Fridays are well attended, averaging 40 to 60 people. We encourage students to keep an eye on our Events Calendar and RSVP to the events on Facebook so they don’t miss out! Is your organization interested in hosting a First Friday? Please contact commlead@uw.edu to get the networking ball rolling! The Comm Lead program frequently partners with and contributes expertise to conferences in Seattle and beyond. Our involvement ranges from sponsorship and “conference takeovers” (wherein our faculty speaks at the podium and our students fill the seats) to funding individual attendance so students can participate in far away conventions. We are regular participants at IN-NW, SXSW, Seattle Interactive Conference and TEDx events, and are always connecting to new ventures and seizing on those valuable professional development opportunities. Ultimately, Comm Lead citizenship helps our students to extend their reach well beyond what they may have been able to accomplish on their own. We have Comm Lead alumni working in all corners of the region and our alumni network is active and strong. From the day students step into class, their cohort of like-minded professionals becomes an invaluable resource—after all, relationship building is part of the curriculum! And that support doesn’t end at graduation. The people they collaborated with on that project will become their gateway to organizations like Weber Shandwick, Amazon, Microsoft, Adobe, EMP, and Facebook—all of which employ Comm Lead alumni. Our Alumni Fellows program is yet another testament to the lasting nature of a Comm Lead membership and to the generous spirit of reciprocity that underpins the program. From teaching workshops to providing one-on-one mentoring, Alumni Fellows serve as resources for current students. To learn more about how to stay connected as an alum, click here.